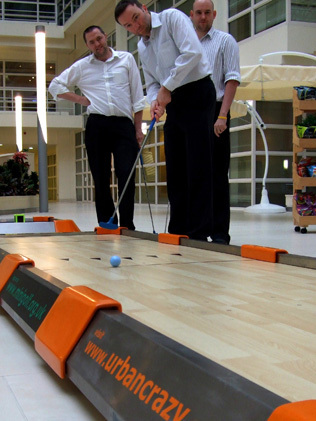 UrbanCrazy » The Ryder Cup – in Reading? 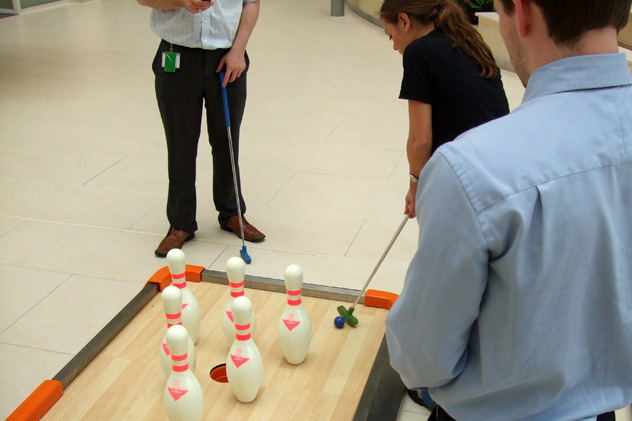 Whilst Lee Westwood, Graeme McDowell and the rest of the European Ryder Cup Team were battling their American counterparts over at the Celtic Manor in Newport, Wales, a far more important golfing event was taking place 100 miles away! 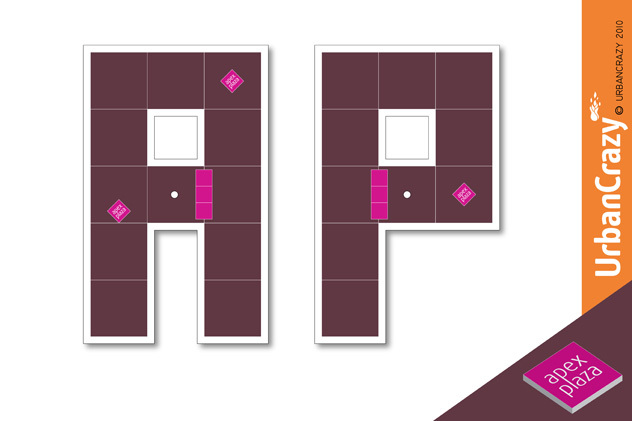 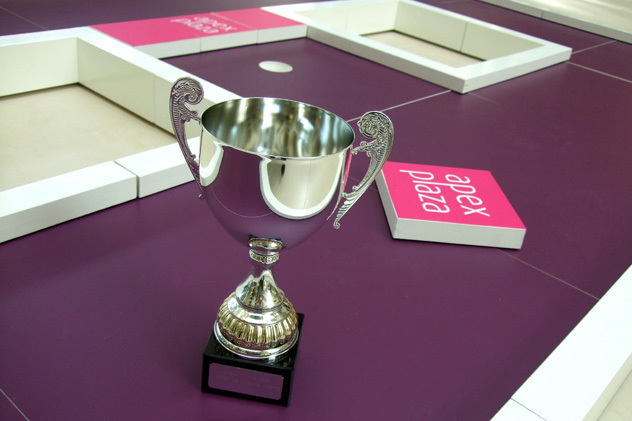 “The Apex Plaza Cup”. 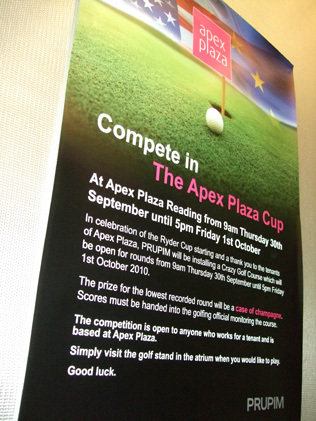 More than 50 property agents from Reading and London were invited to the Apex Plaza in Reading where the building’s owners, PRUPIM, were hosting their own version of the Ryder Cup. 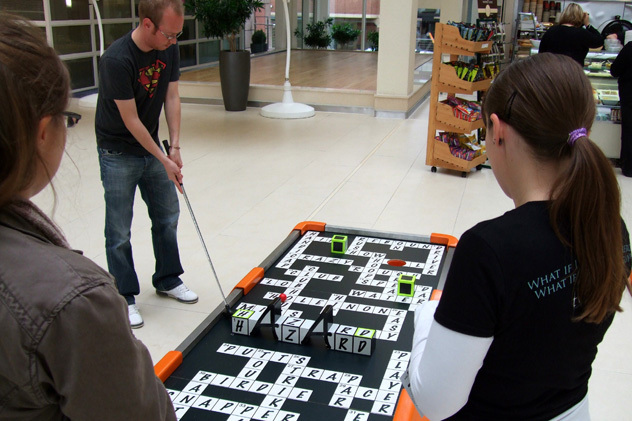 A portable, branded golf course was custom-built and supplied by the good folk at UrbanCrazy and located, for two days only, in the indoor atrium of the office complex. 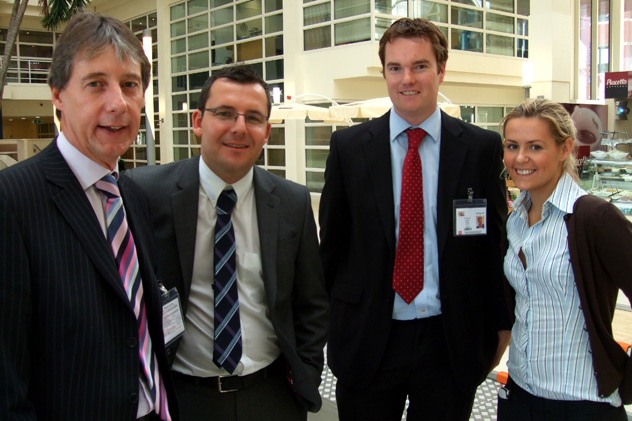 The cup was eventually won by Shaun Walters of Reading-based agents Parkinson Holt, who also took home a case of champagne for his troubles! 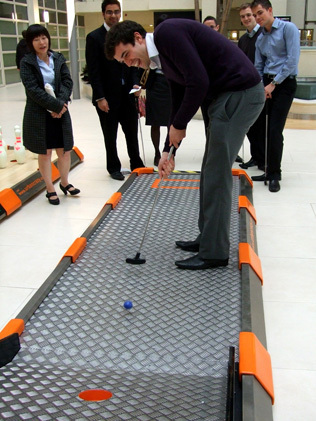 Staff working for Apex Plaza’s tenants – which includes Barclays, Morgan Cole and HSBC – held their own competition on the course, with Phil Worswick of Ernst & Young carding the lowest score over the two days. 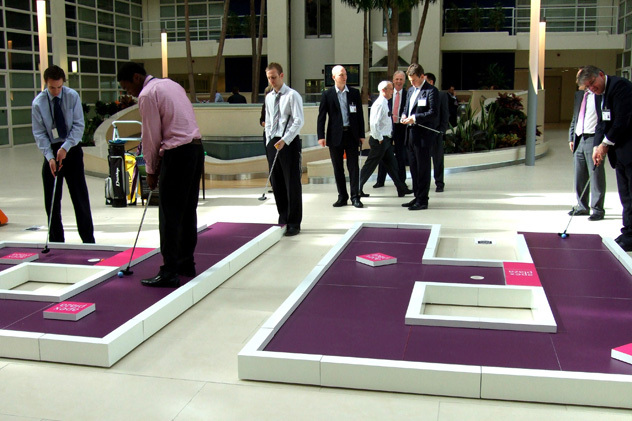 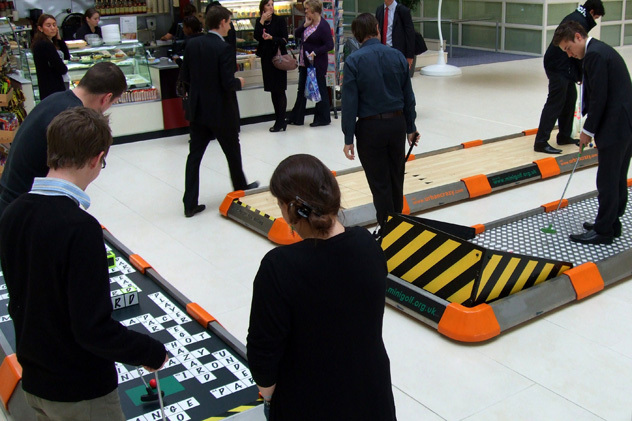 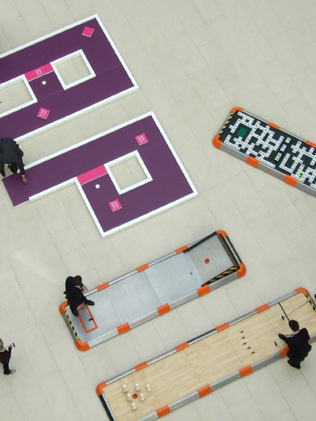 Branded and customised crazy golf courses are fun, interactive and memorable, making them the perfect addition to your marketing event, exhibition or product launch. 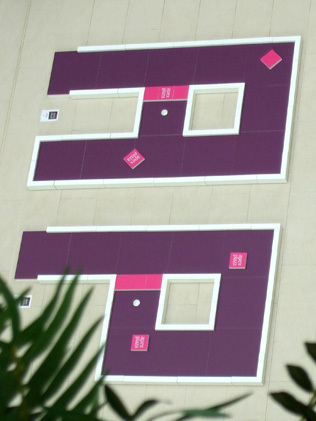 To find out how UrbanCrazy can help your company stand out from the crowd, please contact us or call 08456 860 360.